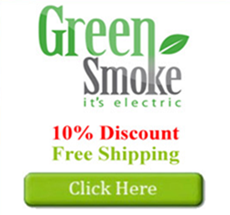 Green Smoke runs promotions very, very often -- on Christmas, on New Year's, on Easter, etc. I'll do my best to keep you apprised of their latest promotions via this page. The last promotion was for the Super Bowl, but it's passed now, so you just have to sit back and wait.